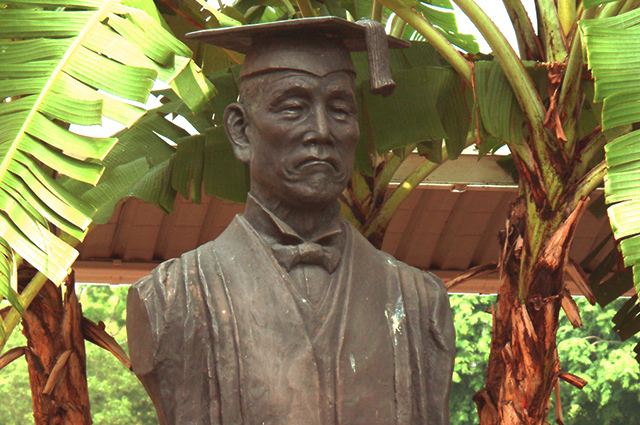 Waseda Shibuya Senior High School in Singapore (WSS) was founded in April 1991 on the west coast of Singapore. Our school provides a Japanese educational environment for Japanese residents of Singapore and other neighboring countries. In this new age of globalization and multi-national cooperation, the number of Japanese living overseas has increased. These expatriate families have struggled with the lack of Japanese senior high school options abroad. Our school was founded in order to meet their educational needs. Due to globalization, particularly the recent surge by Asian countries, Japan must collaborate with their neighbors by conducting international exchanges and exhibiting inter-cultural understanding. WSS believes this is extremely significant given the history of the region. In April 2002, WSS became affiliated with Waseda University. This partnership resulted in the realization of a more robust educational philosophy. Our vision is to produce students who are global citizens and can contribute to Asia.